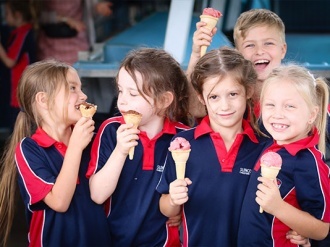 Suncoast Christian College is located in the tranquil rural community of Woombye – in the heart of Queensland’s Sunshine Coast. 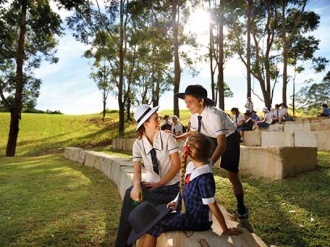 Located approximately 10 minutes from Nambour and 15 minutes from Maroochydore, the Suncoast Christian College campus spans over 14 hectares and incorporates an outdoor bushland chapel, beautifully landscaped gardens, extensive outdoor sporting facilities, an indoor gymnasium, air-conditioned classrooms and immediate access a world-class performance space – Suncoast Auditorium. Little Learners is an accredited approved long day care centre. 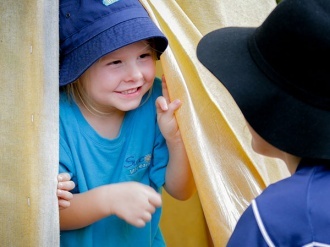 Children can start once they turn 2.5 years of age and we offer a five day fortnight Kindy based educational program. 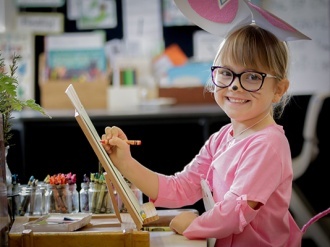 Indoor spaces include interactive whiteboards, a bank of laptops and iPads in each classroom and purpose-built wet areas for art. Outdoors, there are spaces for small group work, a shaded lunch area, dedicated toilets, playground equipment, and ‘Tanglewood’ treehouse. Our treehouse consists of an upstairs area (large enough to house an entire primary year level), enclosed downstairs room and adjacent rope course and swings underneath. 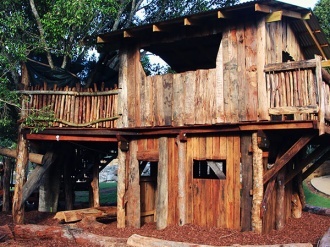 Children ascend via a rustic, meandering staircase and enter an enclosed play and learning space amidst the canopy of a large shady tree. Set in tranquil meadow immediately adjacent to a remnant sub-tropical rainforest, the Outdoor Chapel hosts small gatherings and outdoor classroom activities. It is also the staging point for Suncoast Little Learners Bush Kindy activities. The Green is a popular flat play space with easy access to both Primary and Secondary students during morning tea or lunchtimes. This wide open green space includes handball and volleyball courts and a beautiful shady ficus tree. Includes a conference room, auditorium, and a full-sized gymnasium. The conference room caters for workshops, departmental meetings, and special classroom activities. The auditorium is used for both internal and external performances, while the gymnasium includes a six-ring basketball court, futsal, netball, two volleyball courts, and four badminton courts. 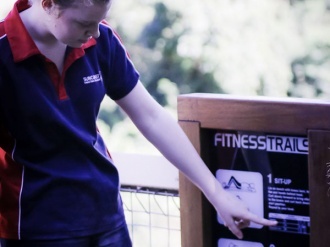 The College fitness trail is a circuit that runs through the undulating hills within our 14-hectare campus and includes several exercises stations for students and staff to use to develop their physical health. 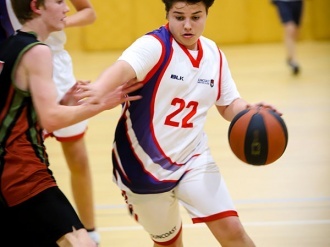 The Suncoast Fitness Centre is a fully-equipped gym that is popular with both boys and girls at lunchtimes and as a training facility for Senior Years Sport. The Centre has a variety of free weights, resistance machines, and exercise equipment. 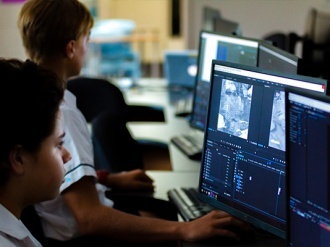 This lab is equipped with state-of-the-art video editing equipment and with technologies used in professional film and television. Used by Film – TV, ICT, Business Communication students, and primary computing classes. The Library is equipped with ergonomic and engaging furniture and reading spaces and houses an excellent collection for recreational reading and reference books. 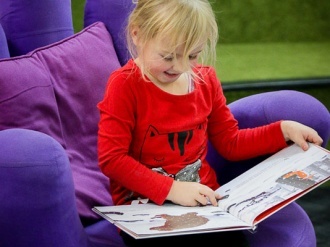 Includes a dedicated Junior Primary Reading Room, designed to spark the imagination of early readers with fun. This space is the setting for digital technology classes. This 100+ seat air-conditioned lecture theatre is a space used for both formal and informal classroom activities, year level subject presentations and Home Class assemblies, staff devotions, staff meetings, and Year 12 QCS preparation. It is equipped with state of the art visual and sound equipment. 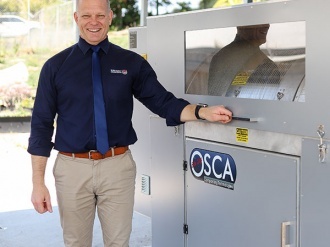 Suncoast Christian College was the first school on the Sunshine Coast to install an OSCA – an automated, aerobic composting technology developed by WDU Sustainability. Using minimal energy, OSCA processes organic waste generated by the College. 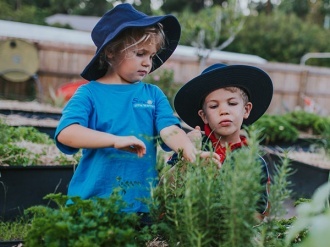 Our community garden is located operates as a teaching and learning space for students Prep to Year 9. Here students are involved in garden projects as a way of learning about sustainability, health, well-being, and food production. The home of woodwork, metalwork, 3D Printing, and laser cutting technologies. 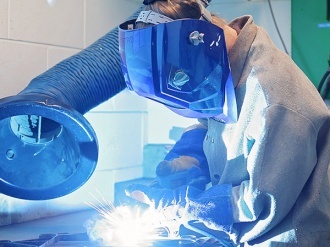 The open plan wood/metal work area is equipped with various mig and ark welders, drill presses, sanders, portable power tools, a wide range of metal and woodwork tools. The design lab houses a 3D Printer, laser cutter, and an interactive whiteboard. 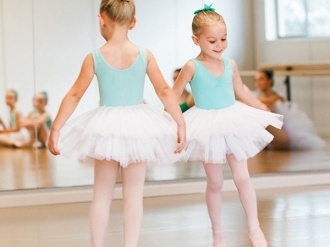 This an air-conditioned dance studio is the home of curricular and extra-curricular dance. Dance and Drama are Authority (OP) subjects with girls and boys from Years 7 to12 and is also the home of Formed Movement Dance Training – a private dance company that works in partnership with SunArts to provide dance lessons and performance opportunities for both College and non-college students. 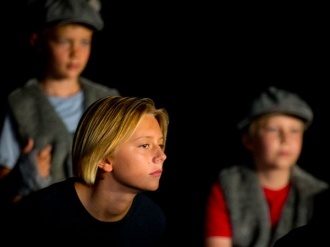 Drama opportunities at the College are supported by a large, flexible and specialist performance and rehearsal space for Year 7 to 12 students. 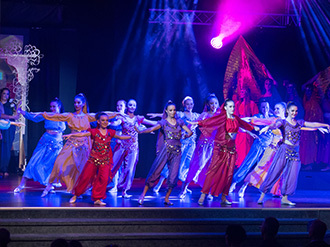 Extra-curricular drama classes studio is co-curricular SunArts, which are attended by students from both Suncoast and other Primary and Secondary schools. Visiting tutors use these spaces to conduct shared and individual music lessons for students in Years 1 to 12. 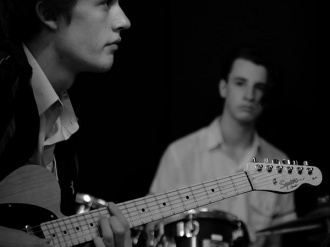 There are three teaching rooms as well as rehearsal spaces which are kept busy at lunch-times with xhigh school contemporary bands. 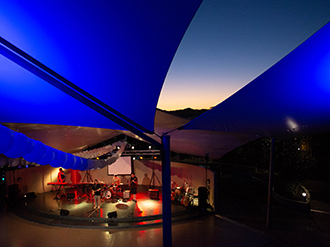 Our campus is blessed with the Suncoast Events Centre, one of the Sunshine Coast’s premier concert, graduation, conference and event venues. 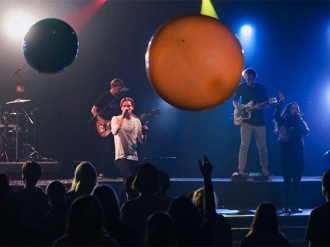 This 1200-seat venue hosts College performances such as; the Biennial Musical, Presentation Nights and major events, as well as weekly Chapels. Suncoast Chruch is lead by our Lead Pastors Jonathan and Chloe Gullo and is a Church that loves God, follows Jesus and cares for all people. The Church is the spiritual “hub” of the College, leading and guiding our direction. The Church building includes the Bean @ Chapel Café is open to parents and the public each weekday. This open-air amphitheatre is the College’s gathering and assembly area. Weekly Middle Years and Senior Years assemblies are held in the Common and this space is also used for class performances and rehearsals and is a popular place to gather at lunchtimes. This area is another ‘hub’ of the College, being popular with Middle Years students. 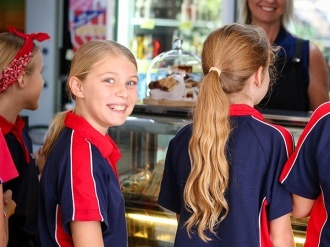 The Cafe is open five days a week with pre-ordered lunches delivered to Primary classes while online ordering (via Flexischools) is also available for all students. Tour the Cafe. Upper Primary includes classrooms for Years 4, 5 and 6. There are corridors used for small group work, shaded eating and play areas, playground equipment, handball courts. Primary Reception and Office of Head of Primary are located here. 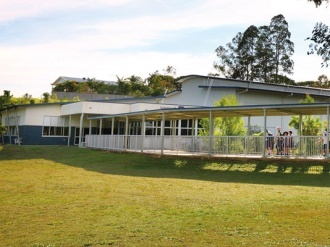 This large multi-purpose specialist learning space is attached to the Prep Centre is used for music, art, languages, and drama for Early Learners and Prep through to Year 6. Home to four Secondary classrooms and is the Year 12 Common Room (chill-out space) with lounges, lockers plus a kitchen for Year 12. This building houses key support staff – Director of Student Development, Primary Chaplain and our VET and Traineeship coordinators. 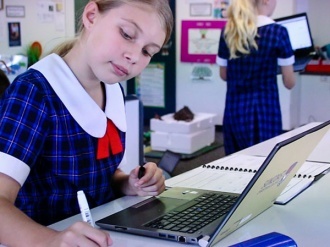 This zone includes our multimedia editing suite and Year 7 classrooms have a distinctively ‘Primary-like’ layout plus cafe style outdoor study breakout spaces. The outdoor areas include basketball and handball and outdoor (covered) table tennis tables amongst Years 7 and 8. This includes a covered lunch area, the Enrichment Centre, Specialist Art Spaces, Home Economics Kitchen and Textiles Room, Science Laboratory and the Lecture Theatre. The name Djan Duman is a local Gubbi Gubbi term for “meeting place” – and accordingly, this space is adorned with our own exquisite Indigenous murals.